Hi readers, I would like to announce that I have recently incorporated a new feature on my site. 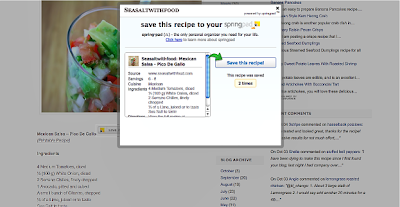 This feature works in conjunction with Springpad and it will enable you to easily save any of the recipes on my site with a press of a single Save It button. Here are screenshot demos to show you how to use this new innovative feature. 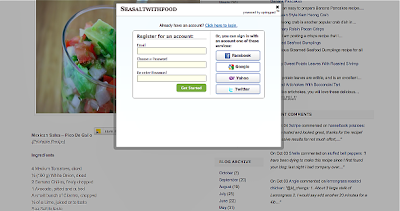 Login to save the recipe or Register for an account with Springpad. It will assist you to quickly save and organize any recipes from my site and from across the web. 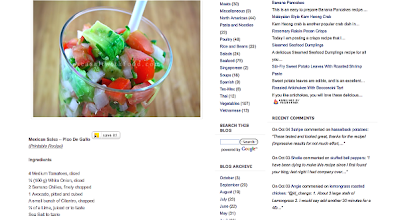 You can even personalize and share recipes by adding notes, photos, and videos. Springpad offers many convenient features, including a meal planner app and it will even automatically generate a shopping list for you for any selected recipe! They also offer a mobile web app that allows you to easily access your recipes, shopping list, and meal plans whilst on the go! 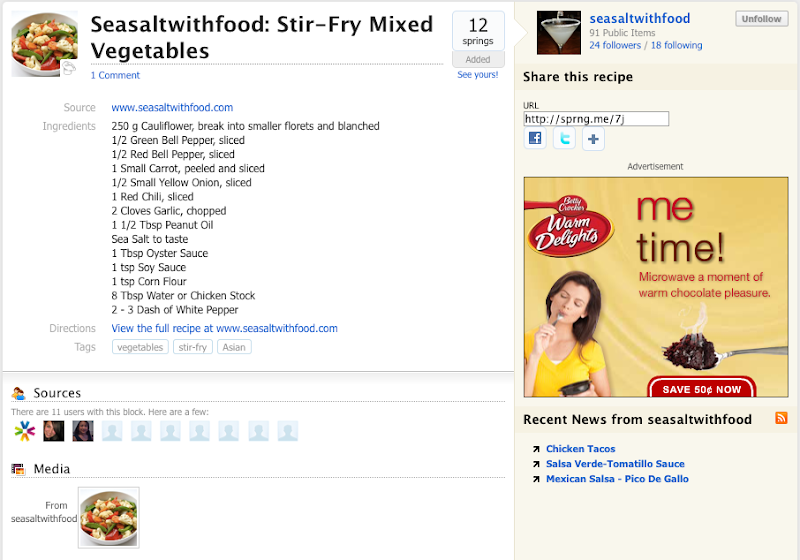 This is a screenshot of my springpad page with Stir-Fry Mixed Vegetables recipe. That's really nice. I hate losing recipes and not being able to bookmark them. You know I haven't made the Rosemary Raisin Pecan Crisps. But I'll know you know as soon as I try them. Thanks. We at springpad are really excited to be working with you. Please let us know if you or any of your readers have any feedback. We are always looking to improve our services. Thanks again for the great post and for working with us! @Divina Pe: Yes, Springpad is a great online notebook. Oh, I have to bake those Rosemary Raisin Pecan Crisps too! I hope you'll enjoy them.